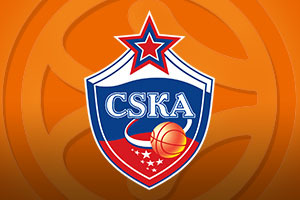 Spread Pick: CSKA Moscow with handicap -4.5 at 1.80 Over/Under: Over 148.5 1.90 Bet Now! Both of these teams have a 2-0 record in the Top 16, so something has to give in this clash but for CSKA Moscow, there is a lot more at stake. This is the team that achieved a 10-0 record in the group stages, so the Russian side currently have a 12-0 record in this seasons Euroleague and they will be desperate to keep this run going for as long as they can. They also have the best offence in the campaign, averaging 88.6 points per game but they are facing up to a team who has the second best defence in the competition, as Efes have conceded an average of 69.4 points per game. 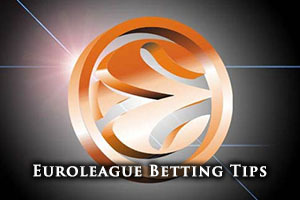 This game has the makings of a classic and if you are keen to watch the Thursday night game between Anadolu Efes and CSKA Moscow live, we can help. The home side has an 8/4 record overall this campaign and with two straight victories in the Top 16, there will be no shortage of confidence in the Turkish side. They have averaged 72.4 points per game in the Euroleague and Dario Saric, the Croatian forward, has been their top player. He has managed to grab an average of 10.9 points per game while also offering up 6.1 rebounds per game. He has been ably assisted by Stephane Lasme, who has provided an average of 7.3 points per game while providing an average of 4.8 rebounds per game and Dontaye Draper, who has provided an average of 7.5 points per game while also providing an average of 4.2 assists per game. Anadolu Efes are sitting in 1st place in their domestic league, with an 11/4 record, but they recently slipped to defeat against Turk Telecom. The game resulted in an 86-91 after overtime win for the away side. So, with a 12-0 record in the Euroleague, and a 14-1 record in their domestic league, where they also sit first in the standings, this season has the potential to be a monumental one for CSKA Moscow. Star man so far has been Sonny Weems, who has offered up an average of 15.2 points per game, 5.3 rebounds per game and 4.5 assists per game. Andrey Vorontsevich, the Russian forward, has provided an average of 10.3 points per game while also offering up an average of 5.7 rebounds per game. There has also been a lot of praise for Milos Teodosic, the Serbian guard, who has provided an average of 16.7 points per game while also providing an average of 7.6 assists per game. The team’s last domestic match was a straightforward 79-91 away win against Avtodor. While this has the hallmarks of a game that could go either way, taking CSKA Moscow with a handicap of -4.5, and odds of 1.80, looks like being a sound and safe bet. If you have an interest in the Over/Under market, we are tipping that you go Over 148.5 points for this match. Both of these bets are available with Bet365, so if you are keen to get involved with the Top 16 this week, this is likely to be the site to check out. Bet Now!